August is upon us and summer is in full swing. Don’t let summer slip away without taking advantage of some of Macomb County’s wonderful recreation opportunities. Head east to the water’s edge at Lake St. Clair Metropark in Harrison Township. This 938-acre park can meet your recreational needs on many fronts and keep your summer calendar full. Being on the shores of Lake St. Clair, water activities spring to mind first. To keep cool, there is a pool with waterslides, a huge splash pad, and a large sandy beach. If being on the water is more to your liking, there are marinas and boat launches to get you out there with ease. If you are in need of rental equipment, on-site outfitter, Simple Adventures has you covered from kayaks to stand up paddle board rentals right in the park. Not only can you take a turn on the lake, but you can also paddle your way through the marsh to take advantage of the calm waters and see the plants and animals of this important ecosystem up close. Nature lovers and bird-watchers also have many options. The Nature Center is the starting point for the wooded trails, meadow loop, and the boardwalk through the wetlands. You will often see groups bird-watchers peering intently for one the of great variety of species that are known to pass through the park. 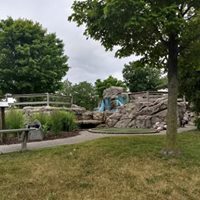 For those looking to get some physical activity into their day, you can pick from a wide range of options from the walking/biking paths along the water, to a par-3 golf course, footgolf, miniature golf, pickleball, basketball, sand volleyball, a newly renovated playground with exercise equipment for the adults, and more. The park also hosts a large schedule of events as well. Nature center programs, canoe/kayak excursions, Sunday night summer concerts, and more. 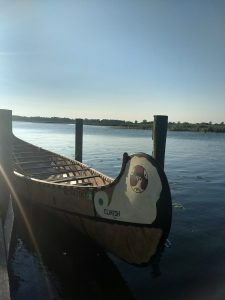 On August 25 and 26, a Voyageur Encampment will inhabit a portion of the park and will enable you to get acquainted with some of the area’s history during the Great Lakes fur trade and early settlement era. There will be demonstrations, displays, music and stories to paint the picture of life back in time. 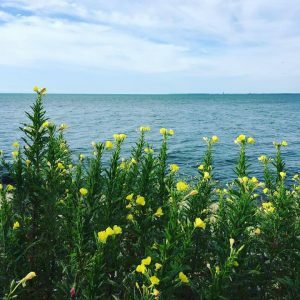 Lake St. Clair Metropark offers such a variety of activities and events that there is sure to be something for everyone. Check out Simple Adventures for equipment rental information to expand your adventure.